Health officials across the country are monitoring cases of measles in 21 states, according to the Centers for Disease Control and Prevention. 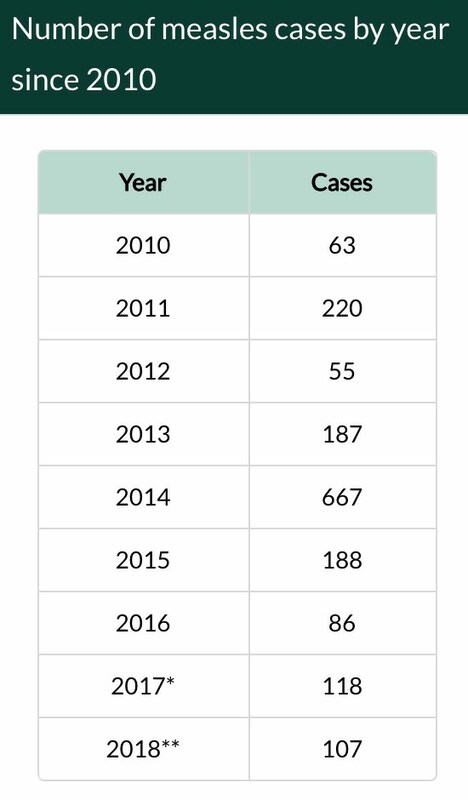 The Washington State Department of Health said there have been six confirmed cases in the state this year, up from three last year. There’s one additional suspected case this year that DOH hasn’t determined how to classify. Editor’s note: An earlier version of this story referred to an “outbreak” of measles. The Department of Health said there have not been enough cases in Washington to be considered an outbreak.